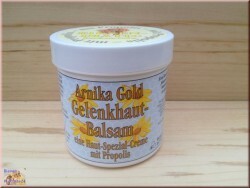 Bees care products There are 63 products. 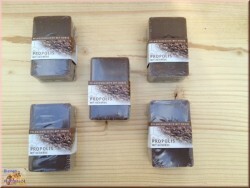 The skin-caring, mild cream soap with honey, woollen fat and propolis. 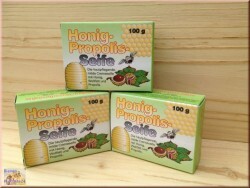 Vegetable oil soap with honey, propolis and pure natural healing earth.Especially suitable for sensitive and delicate skin. Pampers the skin with a delicate aroma and creamy foam.100-g-piece welded band. 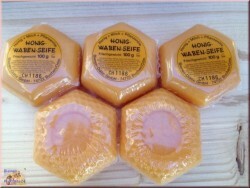 Honey soap, mildly and purely with natural Lanolin plant oil. 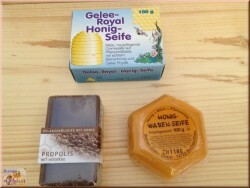 Bee's motive, cellophane-packed. 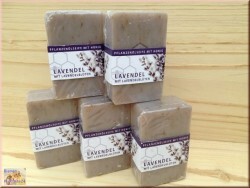 Vegetable oil soap with honey and fresh, fine-harsh lavender smell, with real lavender blossoms. 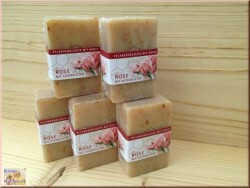 Vegetable oil soap with honey, rose smell and real rose blossoms. 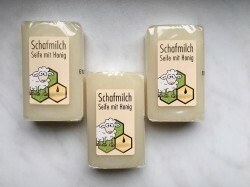 Pure plant oil soap, very mild and skin-compatible with sheep's milk, honey and beeswax and delicate milk and honey fragrance. 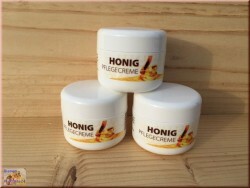 Honey Care Cream NEW - NEWBy using panthenol (vitamin B5) and marigold, gets the emulsion soothing and anti-inflammatory properties. 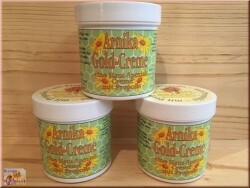 This herbal balm protects and revitalizes the skin with precious essential oils.